Liberty and equality. Human rights. Freedom of thought and expression. Belief in reason and progress. The value of scientific inquiry. These are just some of the ideas that were conceived and developed during the Enlightenment, and which changed forever the intellectual landscape of the Western world. 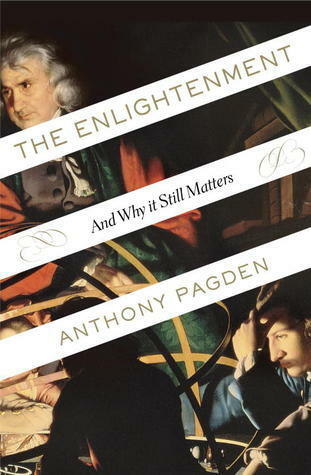 Spanning hundreds of years of history, Anthony Pagden traces the origins of this seminal movement, showing how Enlightenment concepts directly influenced modern culture, making possible a secular, tolerant, and, above all, cosmopolitan world. I was looking forward to this book, but unfortunately, my hopes were not rewarded. I've read a few really engaging non-fiction history books lately and I hoped this would be of the same ilk, especially since the Enlightenment is a period that does interest me. However, for the most part, this book was dry - really dry. There'd be passages that were interesting and which would pull my attention back, but the rest was very heavy going and felt like a lecture. I would not recommend this book for the casual reader, but if you are researching the period in a more serious way, I believe this would be a useful resource as it was packed with facts and excellent references.